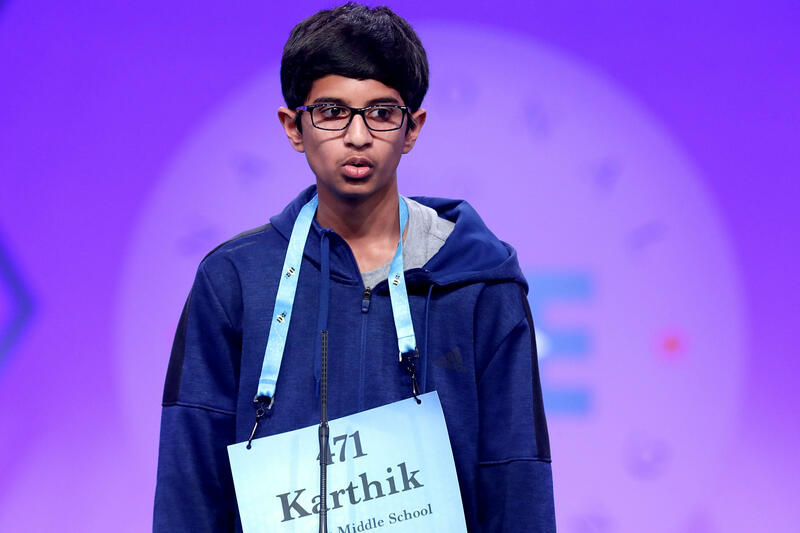 When Karthik Nemmani, a 14-year-old eighth grader from McKinney, Texas, took first place the Scripps National Spelling Bee on Thursday, he became the 11th Indian-American kid in a row to win the competition. Nemmani was also the 19th Indian-American Scripps winner in the last 23 years. But why is that an ethnic group that makes up just over 1 percent of the country's population dominates the annual contest? Sam Rega, the filmmaker behind "Breaking the Bee," gave CBS News his insight on the phenomenon after following four different Indian-American contestants in 2017's Scripps National Spelling Bee in his documentary. Rega told CBS News it's the result of a "perfect storm of events." In doing research for the film, he said, "We were wondering if there was more to this trend -- more than just numbers. And what we found was, it was from 1965 when there was a change in immigration laws and that allowed highly educated individuals to come into this country. So we brought in a big wave of Indian-Americans and that really set the foundation. ... Then the rest of the timeline is, the 1985 winner was the first Indian-American winner, so as soon as people saw that he could do it, that told everyone else, 'If he can succeed, I can succeed.'" When Balu Natarajan won the Scripps National Spelling Bee in 1985, Indian-Americans across the country were inspired. The North South Foundation, which helps raise funds for disadvantaged students in India, was founded in 1989 and started running its own spelling bees for Indian-American youngsters in the 1990s. Rega also credits Oscar-winning spelling bee doc "Spellbound," which came out in 2002, as lending Indian-American competitors more exposure; Nupur Lala, who was featured in the documentary, became the third Indian-American to win the Scripps National Spelling Bee with her victory in 1999 (the year "Spellbound" was filmed). Then in 2008, the South Asian Spelling Bee was founded. In "Breaking the Bee," the filmmaker talked to Srinivas Ayyagari, a man who placed third at Scripps in 1992 and 1994. Ayyagari believes ESPN airing the competition -- starting in 1994 -- helped it explode in the Indian-American community. Rega said Thursday night, Ayyagari texted him a photo of himself from the event with Akash Vukoti, an 8-year-old who took part in the 2016 Scripps competition. "Srinivas and people of his age are inspiring the next generation of spellers and it's going to continue and continue, and that's so much of when you see success," explained Rega. Rega added that spelling bees have a community element, pointing out that Indian-American kids meet friends after seeing them again and again at North South Foundation events and other spelling competitions over the years. He said that Indian-Americans have even set up tutoring centers, software and study materials for young spellers, especially in Texas, where many champion spellers -- including this year's top three finishers -- are based. Rega said preparing for spelling bees is also a family event for Indian-Americans. "Let's say the speller is the athlete. The parents are coaches, the siblings are assistant coaches and everyone's doing what they can to support the speller," he explained. "Most of these spellers know multiple languages: English and their mother tongues, and the parents share those languages. Because of that, they're usually interested in other languages. We had one speller in the film who knows French -- so they grow their word base like that. All that combined -- as everyone saw last night, there's no end in sight. The winner was Indian-American and about half of the 41 finalists were Indian-American." Rega added that nearly a third of the 515 spellers that went to D.C. were Indian-American. When spellers age out of the competition, they put their drive and hard work into other areas. "All of them are very successful in their own ways," Rega said. "A good amount have gone onto Ivy Leagues. You have some that are doctors, some that are attorneys, one is a professional poker player ... They're all just as successful and putting in as much dedication as they did with the spelling bee." You can visit the website of "Breaking the Bee" to learn more about the documentary and find out where it's playing.